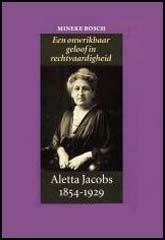 Aletta Jacobs, the eighth of twelve children, was born in the Netherlands in 1854. Her father was a doctor and she decided at an early age she wanted to be a member of the same profession. At this time boys and girls received different forms of secondary education. Whereas girls studied languages, art, music and handicrafts to prepare them for life as a wife and mother, a boy's education included mathematics, history, Greek, and Latin. Aletta's father managed to persuade the local boys' high school to allow his daughter to attend these classes. After leaving high school, Jacobs went to live with one of her brothers who worked as a pharmacist. He taught her the trade and she eventually passed the relevant pharmacist exam. In 1872 she received special permission from the government to enter the University of Gröningen. Jacobs passed her university exams in Mathematics and Physics and in 1876 entered the medical school in Amsterdam. Jacobs later wrote that during her studies she "encountered professors who openly opposed the idea of women doctors". However, she also received the strong support from other teachers and she successfully obtained her medical degree on April 2, 1878. During the summer of 1878 Jacobs visited London where she met other feminists. This included Elizabeth Garrett Anderson who had qualified as a doctor in 1865. On her return to the Netherlands she became involved in several campaigns to improve the conditions of working class women. Jacobs also became involved in providing women with birth-control. In her autobiography Jacobs wrote: "For social, moral, and medical reasons, women from different social classes had often asked me for some form of contraception. I had always had to fend off these requests without providing adequate explanation or advice. Eventually I sent letters to a number of women whose need was greatest. I told them that I believed I had found a means to help them, but before I could fully recommend it, they would have to agree to regular examinations during the first months of its use. Some of these women eventually agreed to the experiment, and the results were such that, some months later, I was able to announce that I could provide a safe and effective contraceptive." Despite opposition from religious and political leaders, Jacobs started a national campaign to make contraception widely available in the Netherlands. Her birth-control clinic in Amsterdam open over 30 years before those in the United States and Britain. Her success inspired the activities of other birth-control advocates and Margaret Sanger and Marie Stopes both traveled to the Netherlands to find out more about the work of Jacobs. Jacobs was also inspired by the work of feminists in other countries. For example, she took a keen interest in the activities of Josephine Butler who had campaigned against the Contagious Diseases Act in Britain. These acts had been introduced in the 1860s in an attempt to reduce venereal disease in the armed forces. Butler objected in principal to laws that only applied to women. Under the terms of these acts, the police could arrest women they believed were prostitutes and could then insist that they had a medical examination. Butler had considerable sympathy for the plight of prostitutes who she believed had been forced into this work by low earnings and unemployment. Jacobs shared Butler's concerned and campaigned against organized prostitution (white slave traffic). In 1883 Jacobs attempted unsuccessfully to register to vote. This was the beginning of her campaign for universal suffrage. This generated a great deal of support after the Dutch Parliament, added the word "male" to the list of voting qualifications in 1887. In 1893 Jacobs helped establish the Vereeniging voor Vrouwenkiesrecht (Woman Suffrage Alliance). Jacobs became head of the Amsterdam section and in 1903 she was elected president of the organization. Jacobs worked closely with other organizations such as the National Woman Suffrage Association and the National Union of Suffrage Societies and in 1904 was a founder member of the International Woman Suffrage Alliance (IWSA). This included feminists from the United States, Britain, Norway, Sweden, Denmark, Australia, and Germany. Jacobs became one of the most important international figures in the fight for universal suffrage. In 1911 she joined Carrie Chapman Catt in a world fact-finding tour. This included visits to South Africa, Syria, Egypt, Ceylon (Sri Lanka), India, Burma, Singapore, the Dutch East Indies, the Philippines, China, and Japan. On the outbreak of the First World War a group of women pacifists in the United States began talking about the need to form an organization to help bring it to an end. On the 10th January, 1915, over 3,000 women attended a meeting in the ballroom of the New Willard Hotel in Washington and formed the Woman's Peace Party. Jane Addams was elected president and other women involved in the organization included Mary McDowell, Florence Kelley, Alice Hamilton, Anna Howard Shaw, Belle La Follette, Fanny Garrison Villard, Mary Heaton Vorse, Emily Balch, Jeanette Rankin, Lillian Wald, Edith Abbott, Grace Abbott, Crystal Eastman, Carrie Chapman Catt, Emily Bach, and Sophonisba Breckinridge. In April 1915, Jacobs invited members of the Woman's Peace Party to an International Congress of Women in the Hague. Jane Addams was asked to chair the meeting and Mary Heaton Vorse, Alice Hamilton, Grace Abbott, Julia Lathrop, Leonora O'Reilly, Sophonisba Breckinridge and Emily Bach went as delegates from the United States. Others who went to the Hague included Emmeline Pethick-Lawrence, Emily Hobhouse, (England); Chrystal Macmillan (Scotland) and Rosika Schwimmer (Hungary). Afterwards, Jacobs, Addams, Macmillan, Schwimmer and Balch went to London, Berlin, Vienna, Budapest, Rome, Berne and Paris to speak with members of the various governments in Europe. Throughout this period Jacobs continued to campaign for universal suffrage. The vote was granted to women in Finland (1906), Norway (1907), Denmark (1915), Russia (1917), Germany (1918), Britain (1918), Poland (1918), Austria (1918), Czechoslovakia (1918) and Hungary (1918). Like the women of Luxemburg, Belgium and Sweden, the Netherlands had to wait until 1919 before obtaining the vote. Aletta Jacobs died in 1929. When I was a student, and particularly when I worked at Amsterdam Hospital, I was haunted by the suffering caused by frequent pregnancies, which, for various reasons, can have a disastrous effect on a woman's life. In my long conversations with a variety of women in the delivery room, they explained to me that they found it impossible to prevent pregnancy when sexual abstinence was the only method available. Women who produced sickly babies or stillbirths, for whom birth meant yet another brush with death, kept on returning to the delivery room. Families that were already large enough considering the mother's physical condition and the parents' circumstances, simply continued to expand. I spent hours wrestling with this problem without any solution in sight. Sometimes I discussed the issue with my fellow students. "Yes," they would coolly reply, "that's what is called a woman's destiny" or "Thank God, there's no way of preventing pregnancy. If there were, then the whole world would soon collapse through underpopulation." During my search for a remedy for this state of affairs, I chanced upon an article in early 1882 in a German medical journal that had been written by Dr. Mensinga from Flensburg. He recommended the use of a pessary for the kinds of cases I was dealing with. This purely scientific article made such an impression on me that I immediately wrote to its author. A lengthy exchange of letters followed, in which Dr. Mensinga informed me fully about the way in which pessaries should be used. He also sent me a number of specimens. Although Dr. Mensinga had assured me that they were effective and in no way jeopardized users' health, I decided that I had to have them tested before I could provide any personal recommendation. For social, moral, and medical reasons, women from different social classes had often asked me for some form of contraception. I had always had to fend off these requests without providing adequate explanation or advice. Eventually I sent letters to a number of women whose need was greatest. I told them that I believed I had found a means to help them, but before I could fully recommend it, they would have to agree to regular examinations during the first months of its use. Some of these women eventually agreed to the experiment, and the results were such that, some months later, I was able to announce that I could provide a safe and effective contraceptive. Although I deemed it unnecessary to advertise my wares, I felt duty-bound to announce that I was now able to prescribe contraception for those women wishing to avoid pregnancy on social, moral, or medical grounds. Catholic missionaries... not only teach their converts to take on our (oh so civilized) morals and customs, but also to adopt European clothes. Just imagine, that here (Kenya), in this savage, hot climate right near the Equator, where every true European envies the efficient nakedness of our brown brothers and would love to dress alike (if only his civilization had not taught him that this is immoral), that here, these simple people have been instructed to cover their beautiful brown backs and to go to church in a hat and boots, in white shirts and blouses. This is the height of stupidity, narrow-mindedness and blindness concerning their own habits and customs! The first thing which was striking is this, that the same causes and reasons for the war were heard everywhere. Each warring nation solemnly assured you it is fighting under the impulse of self-defense. Another thing which we found very striking was that in practically all of the foreign offices the men said that a nation at war cannot make negotiations and that a nation at war cannot even express willingness to receive negotiations, for if it does either, the enemy will at once construe it as a symptom of weakness. Generally speaking, we heard everywhere that this war was an old man's war; that the young men who were dying, the young men who were doing the fighting, were not the men who wanted the war, and were not the men who believed in the war; that someone in church and state, somewhere in the high places of society, the elderly people, the middle-aged people, had established themselves and had convinced themselves that this was a righteous war, that this war must be fought out, and the young men must do the fighting. The womens rising tide of protest against the war came to a point on February 12, 1915. On that date a great peace meeting was held in Washington by the women of America. On the same date, in Holland, an International Congress of Women, to be held in Amsterdam, was called by Dr. Aletta Jacobs, a famous Dutch suffragist. The American delegation, the largest which attended the Congress, was headed by Jane Addams. It included such people as Grace Abbott, Julia Lathrop, Sophonisba Breckinridge, Dr. Alice Grace Hamilton, Miss Kittredge, Mrs. W. I. Thomas, who, with her husband, was so bitterly persecuted during the war for her pacifism, Fannie Fern Andrews, Mary Chamberlain, from the Survey, and Marian Cothren. At my table were Mary Chamberlain and the Pethwick Lawrences. Besides many of the most forward - looking women of America, the group also included cranks, women with nostrums for ending war, and women who had come for the ride. New Thought cranks with Christian Science smiles and blue ribbons in their hair, hard - working Hull House women, little half-baked enthusiasts, elderly war horses of peace, riding furious hobbies. 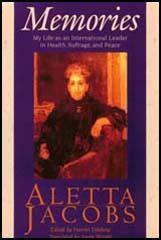 As a background was Jane Addams, unassertive, contemplative and sensitive. All the way over we discussed our program. All the way over, that great woman, Miss Addams, listened with as much patience to the suggestions of the worst crank among us as she did to such trained minds as Miss Breckinridge. I have never known anyone who had a greater intellectual hospitality or courtesy. When I spoke of this to her one day, she said quietly, I have never met anyone from whom I could not learn. We were held up for four days in the English Channel, off Dover, and arrived late, just in time for the opening meeting on the 27th of April. The women who attended this Congress were for the most part well-to-do women of the middle class. It was an everyday audience, plain people, just folks, the kind you see walking out to church any Sunday morning. Labor was unrepresented except for Leonora OReilly, of the Womans Trade Union League, and Annie Molloy, the president of the Telephone Operators Union. It was an audience composed of women full of inhibitions, not of a radical habit of thought, unaccustomed for the most part to self-expression, women who had walked decorously all their days, hedged in by the thou shalt nots of middle-class life. This meeting of these women seemed all the more remarkable on that account, much more significant than the famous Ford Peace Ship. Counting visitors, there were between 1,200 and 1,500 in the audience. There were delegates from twelve countries. But no delegates from France, Serbia or Russia. Not even the Socialist women would send a delegate while the enemy was on French soil. On the proscenium sat some of the most famous women in Europe, almost all internationally known; Miss Jane Addams and Miss Fannie Fern Andrews, from America; Dr. Aletta Jacobs and Dr. Boissevain, from Holland; Miss MacMillan and Miss Courtenay, form Great Britain. One wonders where those old feminists are now, Dr. Augsburg and Fraulein von Heymann of Germany, Frau Kruthgar or Frau Hofrath von Lecher of Austria. What has become of those able fighters of twenty years ago from Central Europe? Of the two hundred English who had planned to come, only two had been allowed visas. And only one Italian delegate had got through, but there were delegates from Poland, from South Africa and from Canada. For the first time in all the history of the world, women of warring nations and women of neutral nations had come together to lift up their voices in protest against war, through which the women and the workers gain nothing and lose all. A pioneering physician and feminist, Aletta Jacobs had a twentieth-century vision, even though she lived most of her life during the Victorian era. As the first woman to attend university and receive a medical degree in the Netherlands, who then managed to combine a career with a companionate marriage and political activism, she can serve as a role model for modern professional women, although her example was difficult for other women of her own generation to emulate. Jacobs established what is often considered the first birth control clinic in the world. She also spearheaded campaigns for the deregulation of prostitution, the improvement of working conditions for women, and the introduction of woman suffrage in Holland. She was a prominent leader in both Dutch and international suffrage organizations and in the women's peace movement during World War I.